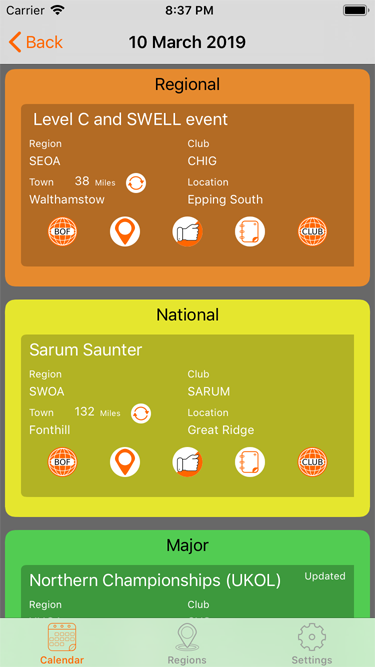 Event-O uses the British Orienteering database of events to help you find events that interest you. Select the clubs and regions you want to see in an easy to view calendar. 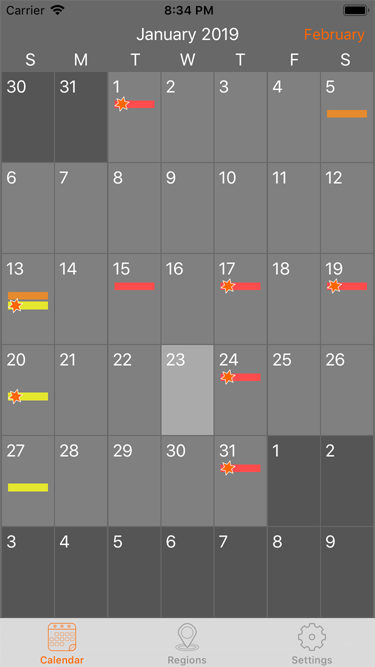 The calendar lets you see the type of events occurring on a day by day basis using different colours for each level of event. Red for local, orange regional, yellow national, green major and blue international. 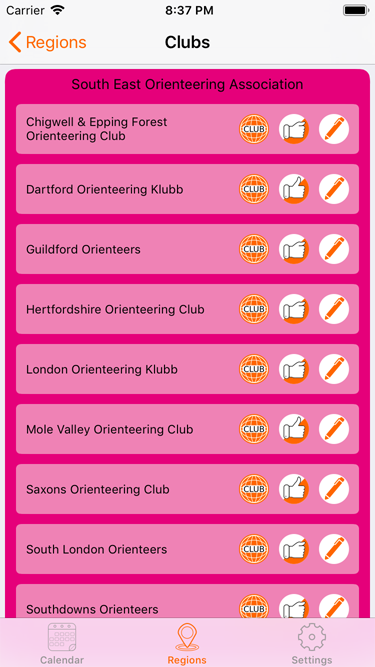 To avoid clutter, only events from clubs and regions selected as 'favourite' are displayed. National, major and international events are always shown. If an event is marked 'favourite' then it is highlighted with a star. Selecting a particular day will display the events on that day. Again local and regional events are filtered, with national, major and international events always displayed. If desired a 'double tap' will temporailly remove the filter and display all events. A summary of each event is shown along with the approximate mileage, from the postcode entered on the settings page. The 5 buttons allow you to: visit the BOF website, view event location map, mark as favourite, add to phone calendar and visit club website. 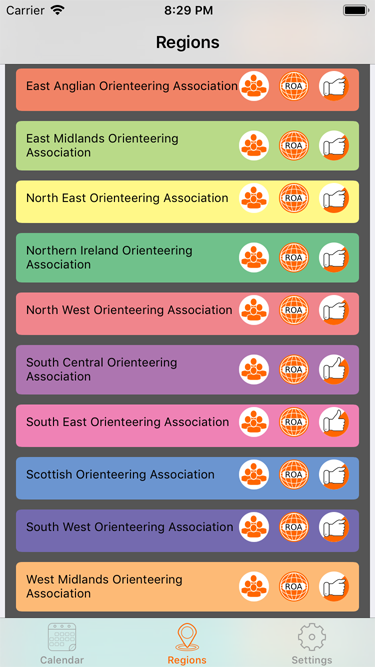 Regions lists all the UK Orienteering Regions with buttons to the clubs within the region, the region's website and to mark the region as 'favourite' so regional events as displayed in the calendar. The clubs within a region have links to the club website along with the ability to mark the club as favourite so local and regional events by the club are displayed on the calendar. The 'pen' button allows the club name and URL to be edited if required. The settings page enables you to enter a postcode. 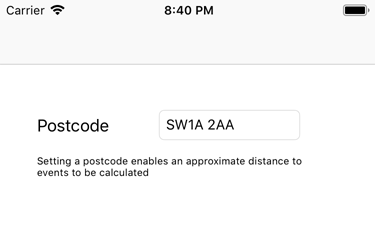 This postcode is only used when calculating the approximate road distance to events.